CSI: Cyber is the worst in the CSI franchise and beyond that, the performances were subpar and the stories contrived even by standards of CSI. I had hopes Ted Danson coming over would help but it didn’t appear his character had much to offer although any scene he was in brought much needed charisma. Season Synopsis: In a world where everything is digitally connected, we’re all potential victims. Yet technology is on our side, thanks to the FBI’s Cyber Crime Division. As a victim of hacking herself, Special Agent in Charge Avery Ryan (PATRICIA ARQUETTE) uses her knowledge of behavioral psychology to understand the all-too-human personalities behind the virtual machines. She’s backed by the unstoppable crew in her Cyber Threat Operations Center. As a battle-tested marine, Special Agent Elijah Mundo (JAMES VAN DER BEEK) is prepared for real world action, while analyst Daniel Krumitz (CHARLEY KOONTZ) can crack any device. Reformed black hat hackers Brody Nelson (Shad Moss) and Raven Ramirez (HAYLEY KIYOKO) seize the chance ot use their skills for justice. Veteran Crime Scene Investigator D.B. 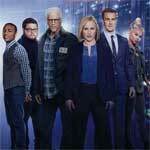 Russell (TED DANSON) joins the unit, applying his experience in traditional forensics in cutting-edge threats. Together, this ultra-skilled team is ready to take on the evolving tactics of the next generation of crime. Quick Hit Review: Over the years I’ve been pretty forgiving of the CSI franchise from the lower quality writing of the mothership, the ho-hum storytelling of CSI: NY and the over-the-top nature of CSI: Miami. 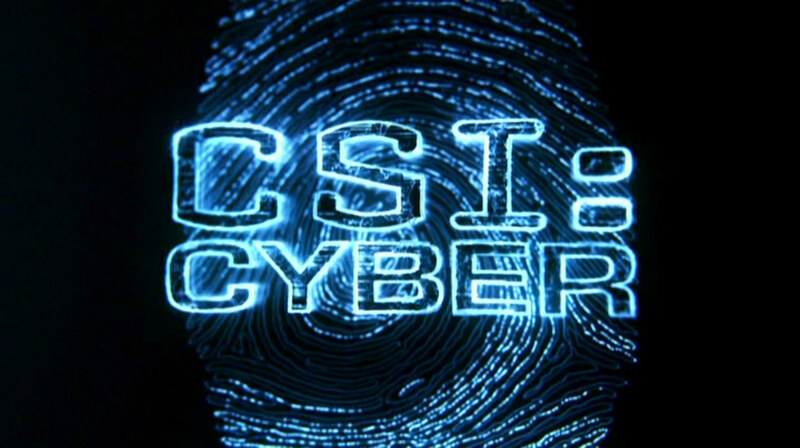 Now we have CSI: Cyber which attempted to take forensics into the 21st century and the Internet, especially the Dark Web. It might’ve been fine for one episode on the original series (which served as a back-door pilot) but as a full-fledged show, this was awful. I mean, really, really awful. Not only does the writing stink but the stories aren’t all that interesting, to go along with poorly written characters, and the acting is subpar, even by likes of Patricia Arquette and Ted Danson whose D.B. character was wedged with really nothing to do but come in and out of scenes I suppose depending on Danson’s busy schedule. This 5-disc set comes in a standard DVD case that side-slides into a glossy, title-embossed slip cover. Raising Kaine: Kelly Osbourne Visits CSI: Cyber (2:24) – This is a behind-the-scenes featurette on Osbourne’s guest appearance on the show. Behind the Firewall: Season 2 of CSI: Cyber (26:09) is a behind-the-scenes featurette on the second season and includes interviews with the cast and crew discussing the characters and storylines. Mr. Russell Goes to Washington (10:43) focuses on Ted Danson’s character moving on from CSI to CSI: Cyber. Pixel Perfect (4:27) looks at the style behind the show. The Sounds of Cyber (9:39) is about the music/score featured in the series. CSI: Cyber comes to DVD courtesy of Paramount presented in its originally televised 1.78 anamorphic widescreen aspect ratio. Colors are generally bright in keeping with a Jerry Bruckheimer production and it appears to be clean looking. Each episode includes Dolby Digital 5.1 and 2.0 tracks which sound fine though nothing special but dialogue levels sound clean and the music comes through well enough. 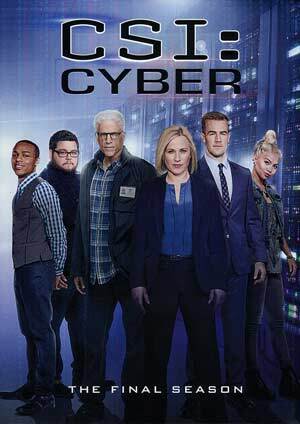 Overall, CSI: Cyber is the worst in the CSI franchise and beyond that, the performances were subpar and the stories contrived even by standards of CSI. I had hopes Ted Danson coming over would help but it didn’t appear his character had much to offer although any scene he was in brought much needed charisma. As far as the DVD is concerned, it’s pretty standard stuff with good video/audio transfers and an OK selection of bonus material. Hi there, I have a random question regarding “Heart Me.” If at all possible (if you have any free time), I was wondering if you could briefly tell me what the deleted scene was about? Thank you so much.